Justice Adeyinka Oyinloye of Ilorin High Court, yesterday, adjourned the ongoing case to quash the N4bn suit slammed against online portal, Sahara Reporters, over series of stories published against the Senate President, Dr. Bukola Saraki. The court had granted the plea of the Senate President and ruled against the online paper. 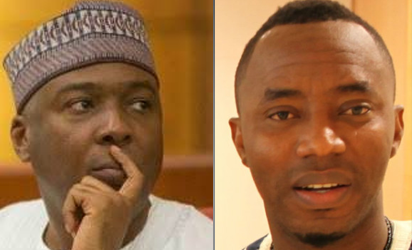 Consequently, Publisher of the online newspaper, Omoyele Sowore, initiated a suit to quash the judgment on the premise that he was not served before judgment was awarded against him. Justice Oyinloye, in his short ruling, said Sahara Reporters’ motion was not matured for hearing, adding that the judgment creditor was still within time to respond to same. Consequently, he adjourned the matter to September 14. Speaking with journalists after the ruling, the lead counsel to the Senate President, Paul Erokoro (SAN), said the process filed by counsel to Sahara Reporters was not matured for his response, noting that the judge ruled that they were within time to file a response. He also said the online media posed a danger to the nation’s democracy and administration of justice and integrity of court and thus should be checked for its constant, needless attack against people and institutions. Also speaking, the Sahara Reporter’s lead counsel, Stanley Ihmaruo, said they were not served with originating process, among other records, of proceedings before the judgment.